Dr. Casey Brown, leader of the Hydrosystems Research Group, recently co-authored the water chapter of the latest National Climate Assessment, a comprehensive government report that warms how climate change threatens United States water security. Dr. Brown was one of 300 scientists who authored the report, meant to inform US leaders about how climate change affects land, water, and air across the country. 3) water managers will need to prepare for a broader set of climate stresses in the future. This entry was posted in News and tagged climate, climate change, national climate assessment, water resources on December 18, 2018 by hydrosystems. The Hydrosystems Group’s Freshwater Resilience by Design work was recently featured in SIWI’s Waterfront Magazine August 2018 issue. Check out page 12-13 for the full story with quotes from HG leader Casey Brown and PhD student Sarah Freeman. Check out the publication at the link below, or find it on SIWI’s website. This entry was posted in News on September 14, 2018 by hydrosystems. 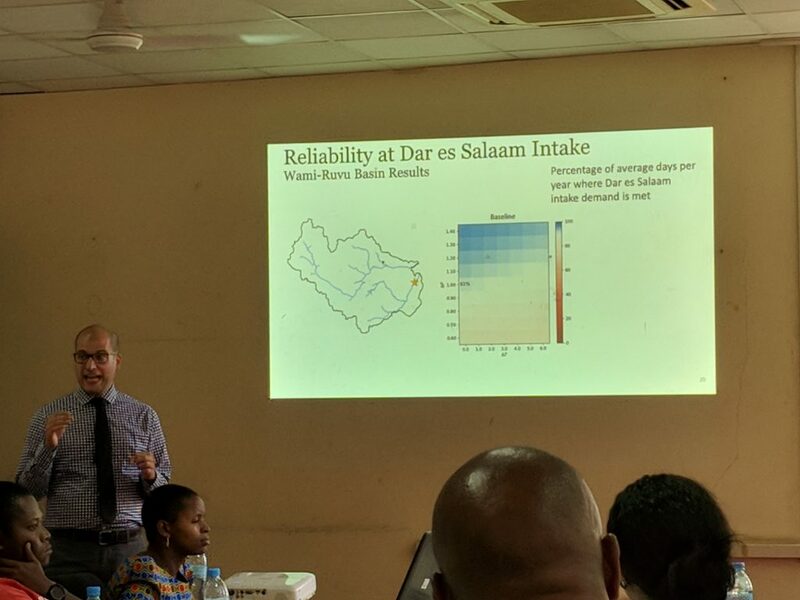 Alec Bernstein, Tanzania team leader and Hydrosystems Group project manager, traveled to Tanzania on a mission in August 2018 to discuss results from the ongoing Freshwater Resilience by Design work with stakeholders. Stakeholder workshops were held in Dar es Salaam, Dodoma, Arusha, and Iringa to discuss initial results and tradeoffs among competing water users in the Rufiji, Wami-Ruvu, and Pangani basins. Building off inception meetings held in January and April 2018 for the Wami-Ruvu, Pangani, and Rufiji basins as well as ongoing joint modeling efforts, the August 2018 mission discussed draft final results of the Freshwater Resilience by Design approach for the Wami-Ruvu and Rufiji basins, and initial results for the Pangani basin. This approach assesses the robustness and resilience of investment scenarios for a broad range of possible future scenarios based on resilience and robustness criteria (details on methodology included in a previous Aide Memoire). The analysis highlights the tradeoffs among sectoral water users, and this mission provided an opportunity for stakeholders to understand the tradeoffs and begin to assess water management investments to manage these tradeoffs. The Ministry of Water Department of Water Resources hosted four workshops to gain stakeholder feedback on the results, to finalize the analysis going forward and to deepen stakeholder understanding and utilization of the tool. Each workshop contained a broad group of sectoral stakeholders from the public and private sector (energy, irrigation, agriculture, environment, and urban water supply). The first workshop was held at the University of Dar es Salaam and focused on the Wami-Ruvu basin draft final results. A national stakeholders workshop was held in Dodoma, and was introduced by the Ministry of Water Permanent Secretary. During this workshop, draft final results from both the Wami-Ruvu and Rufiji basin were shown as well as initial results from the Pangani basin. Representatives from all nine Tanzanian basins were in attendance and this provided an opportunity for water managers across the country to engage with the analysis in the three basins. In collaboration with the Kilimanjaro Water Stewardship Platform, initial results were presented to the Pangani basin stakeholders. Since these results were in an initial state, additional results from the Wami-Ruvu basin were shown to provide context to the stakeholders on the potential of the analysis. A preliminary list of management options and scenarios to assess was established in conjunction with the stakeholders and Pangani Basin Water Board technical team. In Iringa, the team presented the draft final results to the stakeholders of the Rufiji basin. Stakeholders during this discussion provided useful feedback on the results, and made recommendations for improvements to the modeling, especially related to data on agricultural land use. Rich discussions were held in all workshops to expand the understanding of the analysis output in each basin, and its importance for resilient water allocation decision making. Next steps for this analysis in each basin includes finalizing the model based on this mission’s workshop feedback, refining the scenario testing, and packaging final results. Continued engagement through additional stakeholder workshops is anticipated on a following mission. The Hydrosystems Group will also plan a training session for the BWBs and interested learning institutions (e.g., University of Dar es Salaam, University of Sokoine, Morogoro) to ensure that the Freshwater Resilience by Design methodology is well understood and can be scaled up to other basins in the future. This entry was posted in News and tagged Freshwater Resilience, Pangani, presentations, Rufiji, Tanzania, Wami-Ruvu, workshop, World Bank on September 14, 2018 by hydrosystems. 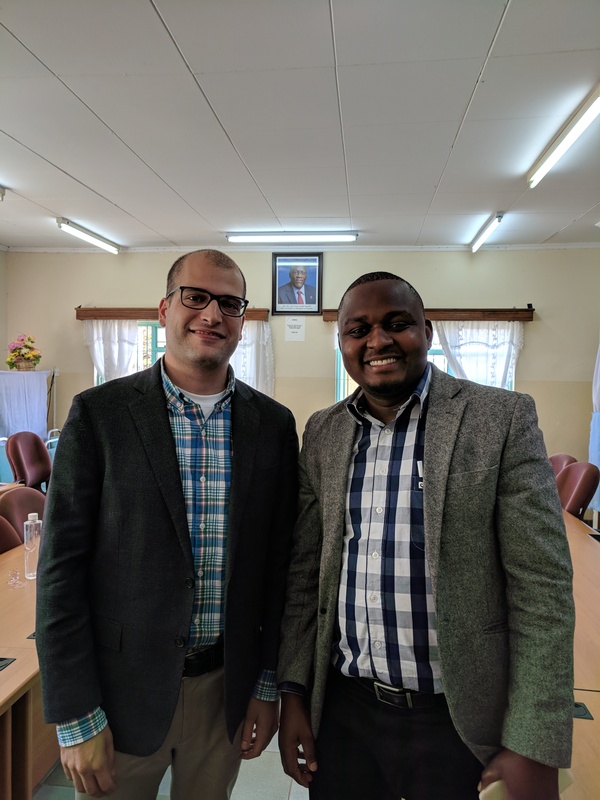 The Hydrosystems Research Group kicked off collaboration with the Pangani Basin during the most recent mission to Tanzania. HRG members Alec Bernstein and Mariam Allam, along with World Bank staff and consultants traveled to Tanzania April 3 through 12 to participate in initial output presentations and to conduct inception meetings with the Pangani Basin Water Board (BWB) to advance the Freshwater Resilience by Design analytics work ongoing in the country. This entry was posted in News and tagged Freshwater Resilience, Groundwater, Mission, Pangani, Rufiji, Tanzania, Wami-Ruvu, workshop, World Bank on May 1, 2018 by hydrosystems. The World Bank, with the support from Fundacion Kaluz and the Mexico City Water Fund, hosted the first Mexico City stakeholder workshop for the Resilience by Design project in the Valley of Mexico in late March 2018. The Hydrosystems Research Group along with partners from the University of Cincinnati presented the “Freshwater Resilience by Design” approach and helped to facilitate dialog related to the process with a group of approximately 50 stakeholders from varied institutions, including NGOs, academia, government and private sector. This entry was posted in News on April 24, 2018 by hydrosystems. This entry was posted in News and tagged Freshwater Resilience, Modeling, Rufiji, Tanzania, Training, Wami-Ruvu, workshop, World Bank on March 26, 2018 by hydrosystems. This entry was posted in News on February 14, 2018 by hydrosystems. This entry was posted in News and tagged AGU, Freshwater Resilience on February 12, 2018 by hydrosystems. Ten members of the Hydrosystems Research Group attended the 2017 American Geophysical Union (AGU) Fall Meeting held December 11-15 in New Orleans. 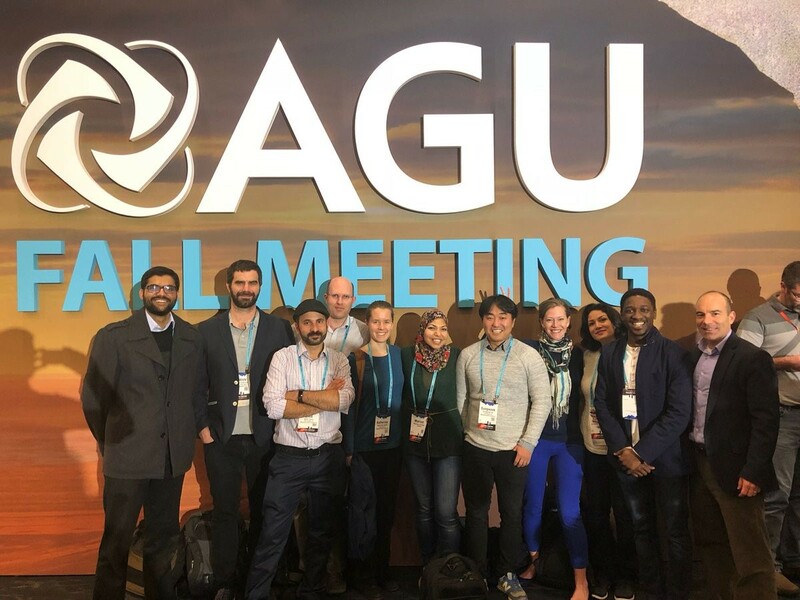 Hydrosystems Research Group members at AGU 2017 (from L to R: Hassaan Khan, Baptiste Francois, M. Umit Taner, David Rheinheimer, Katherine Schlef, Mariam Allam, Sungwook Wi, Sarah Freeman, Faranak Bedhazi (U. of Cincinnati), Chinedum Eluwa, and Casey Brown). 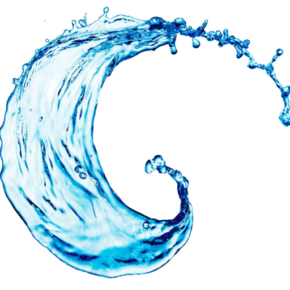 This entry was posted in News, Research and tagged AGU, Conference, presentations on January 11, 2018 by hydrosystems.